OC Fair Pageants are open to all Kentucky Residents. Registration will begin in June at the fairgrounds in the Pageant Building from 12 noon to 4 Pm. At registration, I will have all the packets like I normally do, but you may print and mail should you choose. will need to pick up your raffle tickets at the pageant building during registration. I’m asking everyone to sell at least 5 tickets to help with the Special Needs Pageant. This is not a requirement, however, the one person in each pageant that sells the most raffle tickets will win the Trailblazer award. If you print the forms off the website, be sure to click on Pageant Forms and print each one of the forms there for completion. Raffle tickets and money, Peoples Choice boxes, Achiever Sponsorships, and Mom or Dad essays are due no later than July 27th in order to be eligible for those events. Head shot photos are due at registration, and can be ONLY wallet size to 4x6 snapshots. No larger than 4x6. Everyone will wear CIRCUS outfits (or CARNIVAL TYPE) for some or all of your pageant, except Baby and Sr miss & mr. No exceptions. They may be store bought, hand made, original or DIY. ~BE SURE PERMISSION FORM, Release of Liability Information, Parade Permission is included in those 2 forms, Disclosure Form, and all other forms are signed and complete before you turn them over to me! BIOGRAPHY FORMS and other forms must be completed in hand writing, one page only (for bio) and complete before you register, as you will not be able to re-do or change any form after you are registered. The same with pictures! Choose the perfect one because they go to newspaper earlier this year! No exceptions!!! ​JULY 9th & 10th 10 am - 4 pm at the fairgrounds Pageant Bldg. Everyone will receive the practice times at registration in person. Each age group has different time slots during the week. 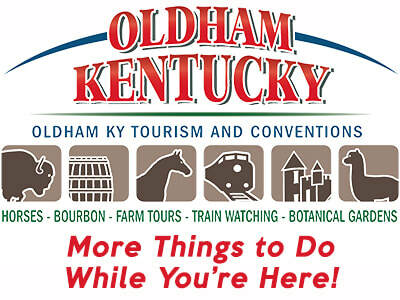 All practices scheduled are held at the Oldham County Fairgrounds in the Pageant Bldg. July 19, 7 pm-Little Miss & Mr.
You must be registered to compete in your pageant to participate in the practice session. Wear cool, loose clothing as it will be very hot! Bring your pageant shoes so you can practice in them on stage. We will practice every aspect of the pageant, from interview, dance/intro, swimsuit, comparison judging, gown, on stage question, crowning, to taking photos of winners on stage. Be prepared to stay at least 2 hours, and don’t be LATE! When you arrive you should already know the dance/introduction routine from the videos posted on the face book page. If yours is not yet posted it will be within 2 days for all pageants. So please be prepared to jump into the practice knowing what you’re doing beforehand! Bring water, Gatorade or other similar liquids to stay hydrated. I don’t want anyone falling out sick. If you have questions or simply can not attend the practice you need to call me as soon as you know you are not attending. There are a few excuses that I can overlook, I am human and sometimes things happen that have to be dealt with. I’m a reasonable person, I’m also understanding! Thanks! See you all real soon! I’m looking forward to meeting all my new and old friends! Visit the OC Fair Pageants facebook page for more info! All State Level Pageants' fees are $60.00. For questions or concerns call 502-758-2212, Sondra.